Disciplining employees and making termination decisions are challenging for any manager. Make the wrong decision, and you could be a risk of a lawsuit. Asking yourself key questions can help. These questions can help you determine if you have a good reason for termination or if another action may be more fitting. Make the wrong decision, and you could be a risk of a lawsuit. What established company rule or policy has been broken? How did the employee’s conduct violate the rule or policy? Was the employee aware of the rule/policy? How was the rule or policy communicated to employees? Has the rule been consistently enforced? What supporting documentation is there? Has the rule violation been properly documented? Do you have documentation, witness accounts, or admissions establishing that the employee violated the rule? Is this a first-time offense, or has the employee been counseled for the same violation in the past? If the violation has occurred before, was the employee warned of the potential consequences of breaking the rule again, and did the warning include the action you are contemplating? Is the offense serious enough to justify immediate termination without a warning? What is the employee’s service record? What is the seriousness of the violation (i.e., its effect on coworkers, employee morale, and the company’s bottom line)? Does the company have any written policies or guidelines requiring a certain type of discipline for the violation? What type of discipline has been imposed in the past for similar rule violations? Was there a personal problem or other extenuating circumstances that led to the employee’s actions (e.g., sickness, death in the family, divorce, etc.)? Will the disciplinary action selected appear fair and reasonable to a jury under these facts and circumstances? Will the disciplinary action be a surprise to the employee? If an employee isn’t performing up to company standards, Ask yourself these questions before disciplining for poor employee performance. What established performance standard hasn’t been met? 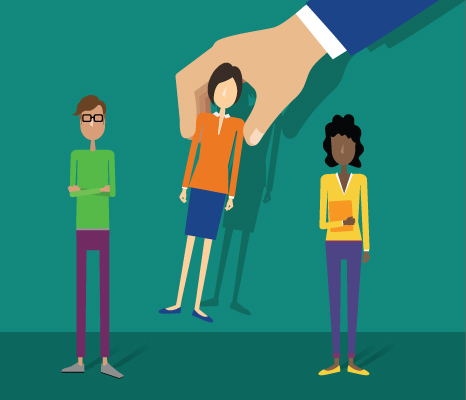 How has the employee fallen short of the performance standard? How was the standard communicated to employees? Has the standard been consistently enforced? What supporting documentation is there for poor performance? Do you have documentation, witness accounts, or admissions establishing that the employee failed to meet the employer’s performance standards? Has the employee had the opportunity to develop the skills necessary to meet the performance standard? Has the employee been “coached and counseled” on the poor job performance? Are all coach/counseling sessions documented? Has any other method of progressive discipline been used? If so, is each step documented? What measures has management taken to help the employee improve his/her poor work performance? Are these efforts documented? Has the employee been given adequate time to improve his/her performance after being counseled? Is there anything else the employer can reasonably do to correct the employee’s performance? Has the employee been warned that failure to meet the employer’s performance standards could result in the consequences you are considering? Is this reflected in your documentation? Does the company have any written policies or guidelines requiring a certain type of discipline for the performance issue? What type of discipline has been imposed in the past for similar performance problems? Was there a personal problem or other extenuating circumstances that led to the employee’s performance problem (e.g., sickness, death in the family, divorce, etc.)? Will the disciplinary action selected be a surprise to the employee? If you’re not sure you should fire an employee, or if you believe the reasons for termination are open to misinterpretation, it’s a good idea to consult with your HR manager or even an attorney. But one good option when you’re on the fence is a “last-chance” agreement. This is where the employee agrees in writing that he or she must improve performance or conform to the appropriate conduct or there will be further negative consequences. It gives the employee one final chance to meet company standards.